With 2017 right around the corner, I am going to work on providing more nutrition and fat loss articles as I go through the process myself. I will write about things I’ve learned personally, things I’m utilizing, and any other tips I think would help you, my readers. 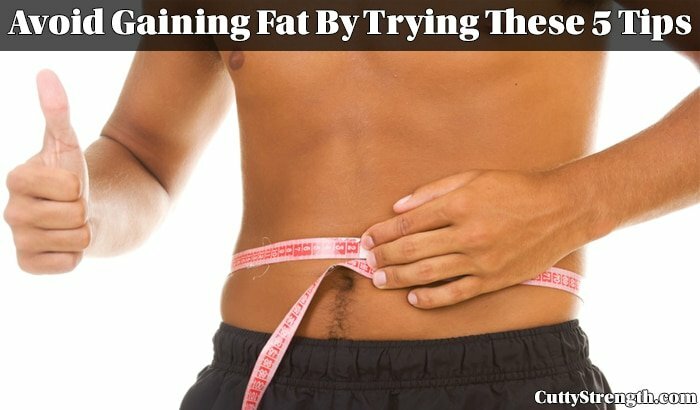 This article is going to go over 5 not-so-secret tips to try to help you avoid gaining fat. I’m a professional at gaining fat, so check out my tips in each section. The more I eat fiber and the better I feel afterwards, the less I make fun of eating fiber. When you think of eating more fiber, you think of an old man eating Fiber Bran cereal so they can poop regularly… but it’s much different than that. Keeping food moving through your system is important and helps maintain a healthy stomach. Being able to process and digest foods is important when you are trying to lose weight. 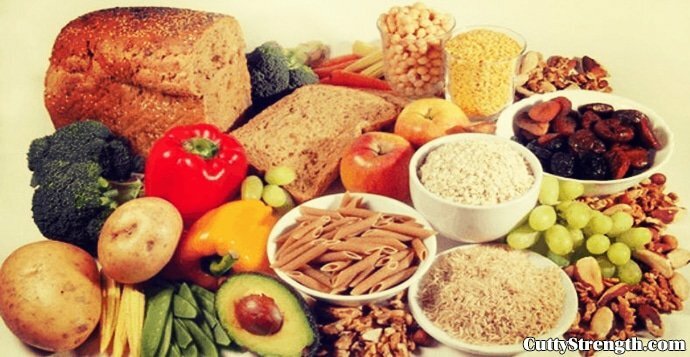 Solution: Eat your veggies, fruits, and beans to receive all of the benefits from fiber. Before I get into this, your metabolism doesn’t work on some mystical 24 hour chunk. I can expand on this in other articles, but I wanted to get that seed planted in your head. Coming up with a consistent meal timing will help your body adjust and keep you from steering away from your diet. Meal timing schemes like intermittent fasting has been shown to improve metabolism function and help you stave off fat gain. Solution: Create a meal timing that works best for you and your life schedule. I sometimes joke about how many articles that say “drink more water” but it’s only been with some testing that I found this to actually be sound advice. The majority of people I talk to are dehydrated – they may not be thirsty but they are certainly dehydrated. I’ve known I stay somewhat dehydrated and when I do start drinking plenty of water, my cravings seem to go away. Solution: Try to drink more water. Just because it is a beverage doesn’t mean you are going to get properly hydrated. 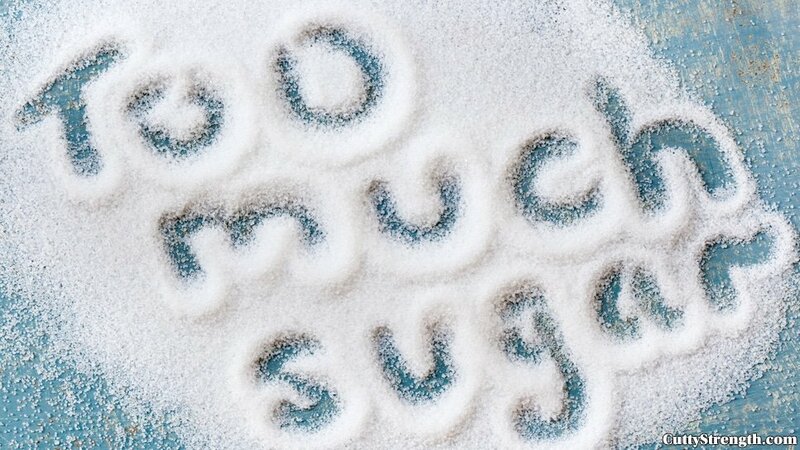 Sugar is high in calories and has a direct correlation to your waistline. No, I’m not talking to the bodybuilders who stay single digit bodyfat that eat a donut, I am talking about the regular person like you or me that tends to eat too much sugar. For years, people thought that eating fat would make you fat. This spawned this low-fat trend where sugars were used in replace of fats, and has created an obesity epidemic. Solution: I will write another article about this shortly, but in the meantime try to cut down on sugars. Improving your conditioning and even doing cardio helps you stave off fat gains. Shortening your rest times in the gym is an easy way to effectively keep your heart rate up and push yourself to lose some more fat. Solution: If you notice yourself spending too much time between sets and want to really amp up your workouts, try to shorten your rest times. Just like building up your bench press, keeping off or losing fat is hard work. Learn to cook, follow these tips, and use some common sense if you want to make this happen. Comment below if you have any tips that you use to keep from gaining fat.